Paddlers, hikers, and wilderness campers, visit Sunset Country for your dose of Vitamin "N"
For those who've already discovered nature's majesty, you already know why spending time in the outdoors is good for you - and in so many ways. There's something about being in the wilderness that changes you - how you look at the world and even, how you relate to it. Hearing the call of a loon on a wilderness lake as you sit beside an open campfire is a truly memorable experience. So is looking up at a night sky and the thousands of stars you see when there's no light pollution. A major bonus this far north is the occasional - sometimes more than occasional - appearance of the Northern Lights. These are things you can only do in a wilderness setting and Sunset Country in Ontario, Canada is one big - real big - wilderness setting. 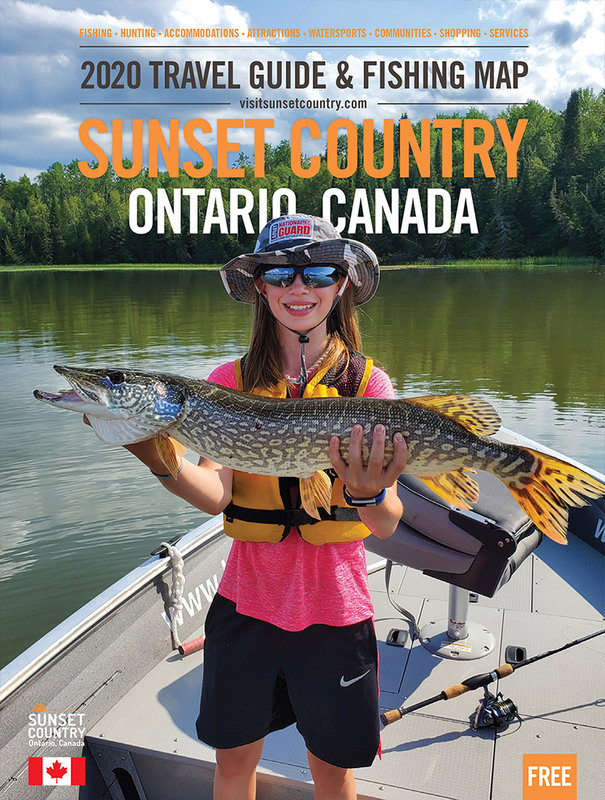 More Lakes Than People...	With 70,000 freshwater lakes, rivers and streams, Sunset Country is a paradise, especially for paddlers and those who love to fish. Where Am I? Sunset Country in Ontario covers a 100,000 square kilometer area (62,000 square miles for our American friends) located north of the State of Minnesota. The Boreal Reigns Supreme...	With only a few farming areas the Boreal Forest of Northern Canada is the dominant landscape feature - along with the lakes! Wildlife is Everywhere... Nature lovers revel in the fact that on any given day, you can see a bear, moose, deer or timber wolf - or all four if you're lucky. Access Remote Areas by Plane	If you want to "own" a lake for a week, we got you covered. We'll fly you, your canoe(s) and your buddies into a remote wilderness outpost cabin! It's a Bucket List Trip for Serious Paddlers	If you love to paddle canoes, kayaks or SUPs then Sunset Country should be on your bucket list of destinations. There are over 10,000 wilderness camping sites along hundreds of established (and some less established) canoe routes. Authenticity: When we call Sunset Country a "wilderness" region, we can back it up. Nature dominates the landscape wherever you go and the level of urban development is almost insignificant. Add in 70,000 freshwater lakes, wilderness parks that, when you combine their areas, are larger than many US States, it's not a stretch to say we have few rivals when it comes to "wild places". You can't see a bull moose just anywhere and the sight of a bald eagle soaring on the thermals is not something you'll see on most Main Streets - these are things we offer that most other destinations do not. Remoteness: Defined as "the state of being distant from something else, in particular from the main centers of population" Sunset Country pretty much scores a 10/10 in this area. Kenora, our largest city, only has a population of 15,000 and we've already noted that there are more lakes in Sunset Country than people. So if you want to "get away from it all" then Sunset Country is the place to go. We do remoteness right up here. Services: Not everyone who seeks nature has the proper equipment or knowledge to do so. In Sunset Country, we have that covered for you with an array of outfitters who can help you plan a trip, get you into (and out of) remote wilderness areas and in general, make your nature and outdoors experience a memorable one. 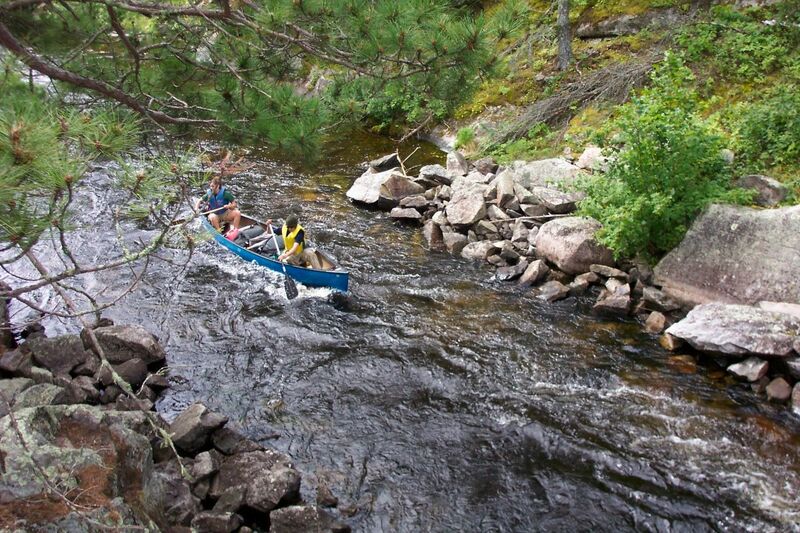 There are canoe/kayak outfitters servicing most of our wilderness-class parks. These outfitters can provide you with equipment, maps, routes and identify campsites or other things you'll need to know on your trip. For those seeking complete services, many of the outfitters offer guided trips into the backcountry, with an experienced guide who will look after you on all legs of your journey. Seeing a moose ramble on by isn't something most other destinations offer - but we do! Wilderness Camping: Some of you may want to go wilderness camping and just find that perfect remote campsite and stay there. While you don't mind paddling to get to your campsite, you don't really want to break camp each day and find a new site where you have to set up all over again. If you're in this category, we recommend you work with a canoe outfitter who can help you find that spot on the map, mark how to get there and make sure you're back when you said you'd be back. The advantage of using an outfitter is that you have a professional looking out for you. If for some reason you don't make it back on schedule, they will go out looking for you - knowledge that is quite comforting should you get lost or become incapacitated in the wilderness and can't make it back on your own. Hiking: When done with a bit of planning, hiking in the wilderness is enjoyable and safe. 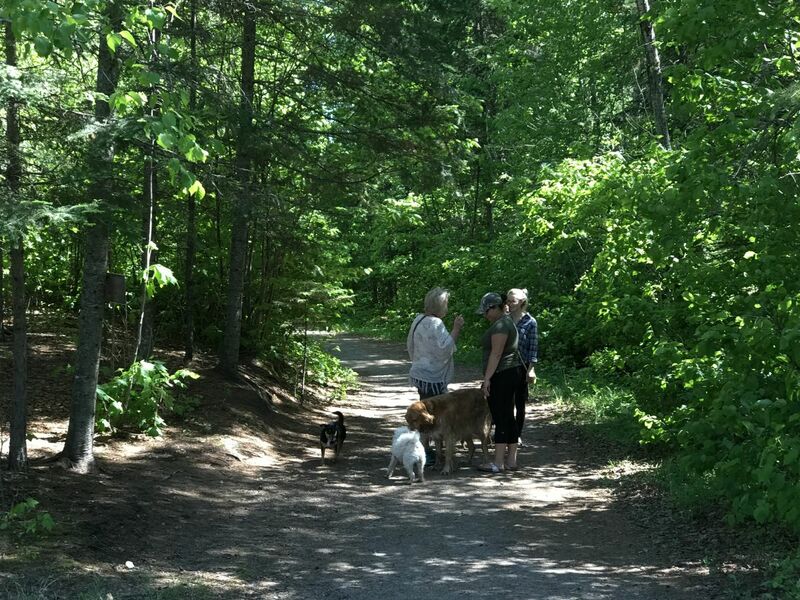 For serious hikers, Sunset Country offers you the rugged terrain of the Canadian Shield where a new discovery or point of interest is always just over the next ridge. For those who want an authentic but a little tamer hiking experience, then check out the great trails in/near our towns and cities across the region! Biking: Mountain bike, fat bike, whatever kind of bike you have if it is any way designed for the off-road then we are a destination you should consider. A couple of options exist - some of the urban trail networks are for both walking and biking and of course, the hundreds of miles of abandoned logging roads and other natural trail systems are there for you to challenge your skills and endurance. Climbing: For the hard-adventure types, Sunset Country has a few rock faces that are amenable to rock-climbing, well more than a few you may just have to find them. This rock climbing guide to Northwest Ontario is a great place to start looking. The Alpine Club of Canada is also a good source of information, especially for those new to climbing or those looking to climb the granite near Thunder Bay. In winter, shift to something even more daring and try your skills at ice climbing. Wildlife Viewing/Nature Photography: So while there are no organized wildlife photo "safaris", that shouldn't prevent you, camera in hand, from capturing a least a sample of the local wildlife and/or bird population. The Boreal forest is the summer nesting grounds for many North American songbirds and in Sunset Country, the Rainy River area is our best-known birding destination. If you're really lucky, you'll catch some big game on camera with a bull moose or woodland caribou the big prizes. Whitetail deer are a guarantee, as are white pelicans, bald eagles and of course, the icon of the north the common loon. 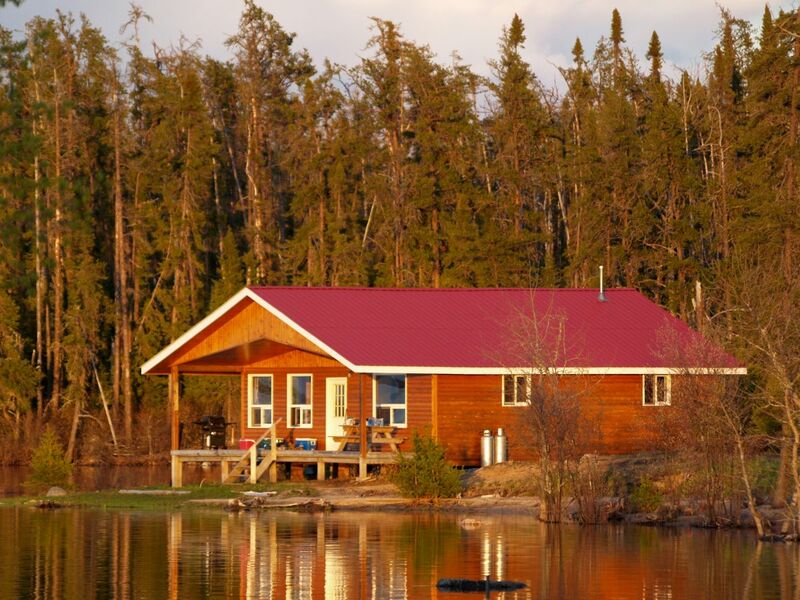 Wilderness Outpost Cabins: In Sunset Country, one of our more unique vacation offerings is allowing folks just like you to "own" a freshwater lake for a week. While traditionally used by anglers for a fishing trip, there's no rule anywhere saying you can't rent a wilderness outpost cabin for a nature-based vacation. Here, you have the comforts of a cabin for sleeping and getting out of the elements yet you are the only people on the lake during your stay. Some fly-in outfitters can even fly your canoe in on the float plane you ride on and getting to the outpost and back on a bush plane, is one of the highlights of this kind of trip.